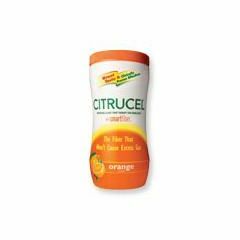 Citrucel tastes great and gives you the SmartFiber you need – without the fiber effects you don’t. It is considered to be one of the more gentle types of fiber, and can work for both diarrhea and constipation. For diarrhea sufferers it can add bulk to the stool, making movements more firm; for constipation sufferers it can make the stool softer and easier to pass.